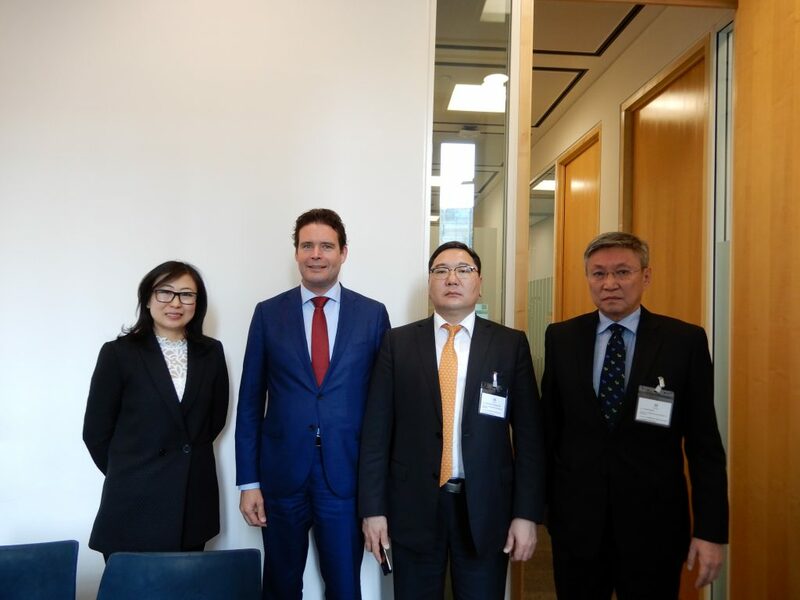 Mr.Davaasuren, State Secretary of the Ministry of Foreign Affairs of Mongolia met with Mr. Frans Weekers, Executive Director of Dutch constituency in the board of Directors, representing Netherlands, Armenia, FYR of Macedonia, Mongolia and China. Officials discussed about opportunities to strengthen further cooperation, particularly diversifying economy and strengthening corporate governance. Since the establishment of Ulaanbaatar representative office in 2006, the European Bank for Reconstruction and Development a total accumulated investment has reached 1.460 million euros.